Each emitter is surrounded by 6 red (635nm) LEDs similar to more expensive systems like the TerraQuant, Apollo, Chattanooga and Thor. Ergonomically designed, button shaped emitter fits in the palm of your hand making it perfect for stroking an animal during therapy. This makes it easy to point the laser away from the animals face so they don't need glasses. Recent research (Effects of Pulsing in Low-Level Light Therapy by Hashmi Haung et all) has shown that pulsing the laser produces superior results in most cases except nervous system problems. Most lower cost system are Continuous Wave (CW) and most low-cost lasers are pulsing only. If you look at the most expensive systems we sell, they all offer both pulsing and continuous wave. You will also see that many cheap systems only offer a few pulsing options and do not allow users to set the pulsing frequency. The RG500i ranks up with the best laser by doing both pulsing and continuous. It also includes program a able pulsing frequency, just like to get on the $10,000 plus systems. Most of the similar priced systems are either a fraction of the power, super-low-power LED technology, are illegal imports from groups that plan to disappear as soon as the authorities come knocking, they are not optimized for laser therapy (flashlight style lasers) or all of the above. In all these cases, they are a potentially high-risk purchase that has a good probability of producing poor or no results. Now, there is no reason to take a chance on these super low quality products. The RG series of laser gives all the features of a high- end for a fraction of the cost. The fly-by-night laser companies typically do not come with any significant support or instructions on how to use the system. 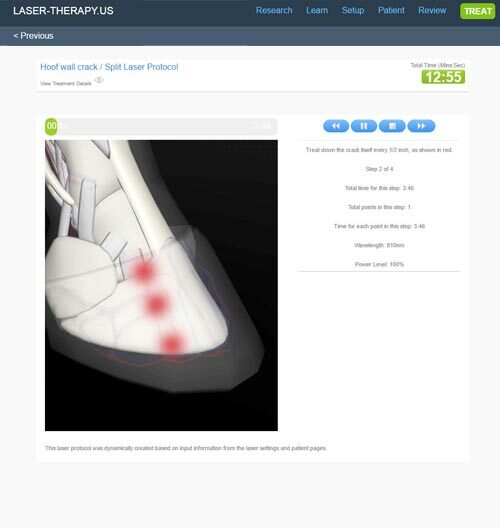 Like all products on ColdLasers.Org, the RG500i comes with a complete animal protocol library from Laser-Therapy.Us. This online library includes step-by-step cookbook style treatment plans for all the most common dog and equine therapies. 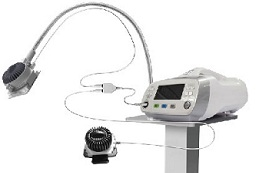 The RG series of lasers includes access to the laser-therapy.us animal protocol library. These step-by-step instructional treatment plans follow the best practices for laser therapy. Because the system runs on a phone, tablet or computer, it can adjust the dosage based on the dis a gnosis, animals size and fur/hair color. Most everyone knows that a black dog or a larger dog requires a much larger dosage so the treatment efficacy is random. When you buy an RG series laser from ColdLaser.Org, you will get access to all the graphic treatment protocols adapted specifically to the animals condition, treatment goal, color and size. The complete list of protocols is shown here. The RG lasers are also outstanding compared to anything else in their price range because their emitter design is more intrinsically safe. In this design, the laser diode is is recessed inside a cone and surrounded by 6 LEDs. That makes it easy to see the treatment area from the surround LED lights but the more dangerous laser diode can not be seen except by looking straight down the cone. As you are working with animal, they often make an abrupt motion that could allow them to look into the laser. This design reduces the risk of eye damage to your pet by shielding the IR diode deep inside the emitter head. Lower quality systems often mount the diode right on the surface of the emitter to save money but this makes the system much more dangerous to animals. With 500mW of power, these systems have similar specs. to system costing as much as $18,000. The RG500i might not have all the features of these more expensive systems, but the return on your investment with an average charge of $40 per therapy session is only 50 to 70 sessions. That might be one of the best ROIs that you get on any equipment and your customer will love the results they get from this system. If you have had your horse or pet treated with a laser at the veterinarian's office or barn, you know that animals often make a big change in their behavior after just a few treatments. There is no possibility of a placebo effect in animals with cold laser therapy so you know when your dog can jump up on the couch for the first time in months that the laser is helping your dog live a more pain free and happy life. If you have a long term need for laser therapy, this system can save you thousands of dollars and hundreds of hours dragging your pet in for routine laser therapy.